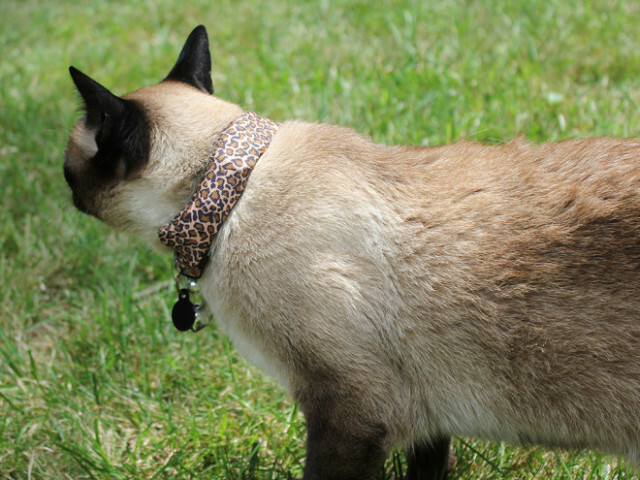 Combine a custom cat collar with a naturally roaming pet and what do you get? In the case of one particularly peripatetic Siamese, a network map of the neighbor's WiFi networks. Credit security researcher Gene Bransfield and Coco (above), a Siamese cat from suburban Washington DC, with the inspired hack that – in the wrong hands (or paws) – could end up costing more than a few internet subscribers more than a few dollars. “My intent was not to show people where to get free Wi-Fi,” states Bransfield, an employee of security consultancy Tenacity. 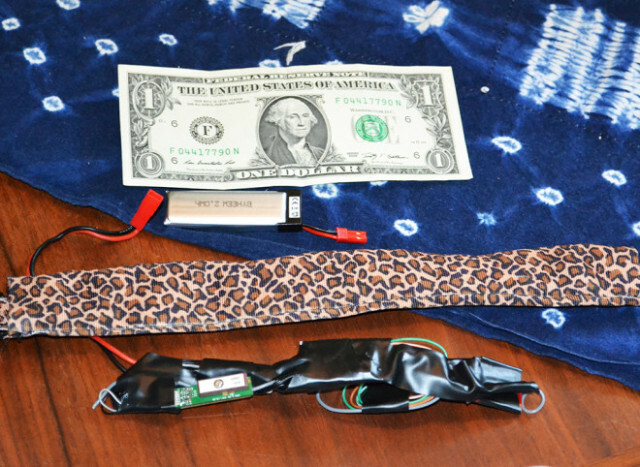 “I put some technology on a cat and let it roam around because the idea amused me.” The technology consisted of a Spark Core chip loaded with Bransfield's own custom-coded firmware, a Wi-Fi card, a miniature GPS module and a battery. That's it below... the greenback wasn't included, it's just shown for size comparison). Bransfield's grandmother-in-law sewed the lightweight components into a snazzy leopard print collar, which was placed on an accommodating Coco before he was freed to roam the neighborhood. What Coco (and his neighbors) didn't know was the high-tech collar was designed to map not only all the Wi-Fi networks in the neighborhood, but pinpoint those most vulnerable to intruders and/or Wi-Fi thieves. After Coco returned and Bransfield analyzed the info recorded by the collar, he was surprised to find “there were a lot more open and WEP-encrypted hot spots out there than there should be in 2014.” WEP, by the way, is a form of wireless encryption not used much these days as it's easily broken – a fact widely known about for over ten years! Looking at the big picture, Coco's three hour tour of the neighborhood uncovered 23 Wi-Fi hotspots, over a third of which were either completely unsecured or WEP-encrypted instead of modern, much more secure WPA encryption. Bransfield's software was even able to determine several of the WEP connections were via Verizon FiOS routers whose settings were unchanged from factory defaults.